I used to hate Valentines Day. It's not fun when you don't have boyfriends all through high school or college or in single years. And I'm still not a big Valentines person. I'd much rather Scott do something sweet for me on a random day. I'm not big on presents so I'd rather he NOT buy me anything and save the money. He shows me he loves me 365 days a year. I'd much rather he clear the dishes or do bath time than get flowers ANY DAY! 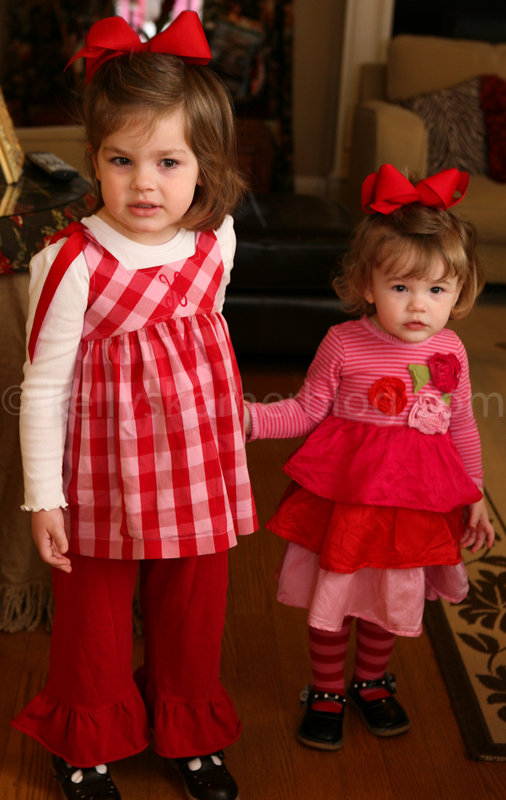 But having two sweet girls - Valentines is a lot more fun. (It's also easy to come up with Valentines outfits all week long when you already have a lot of red and pink in your closet when you are two girly girls). 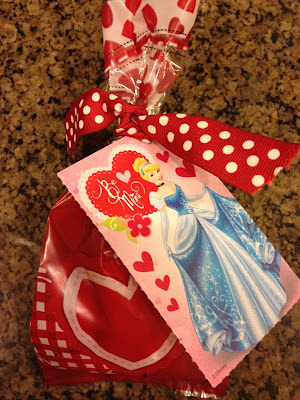 I have seen so many cute and creative ideas on Pinterest and blogs and instagram this week but I totally forgot about doing Valentines until Monday night so I took the girls and they picked out princess valentines (which is funny because Harper is in a class full of boys) and I made sacks of candy they picked out. Sadly, Harper had a fever last night and a cold so I kept her home from school and she had to miss her Valentines party. 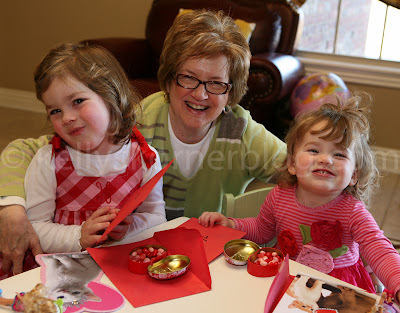 I sent Hollis and we dropped off Harper's valentines. 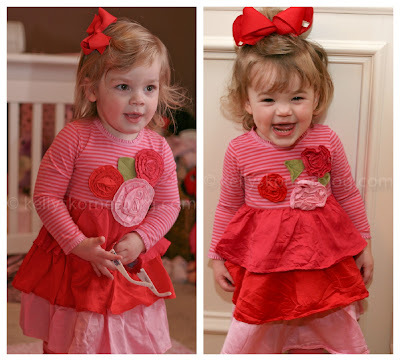 Harper had her 4 year appointment scheduled for today so it kind of worked out to go to the doctor this morning. She is a healthy girl other than her cold. Just for my memory - she was 98% in height and weight (50 lbs and 44 inches tall). 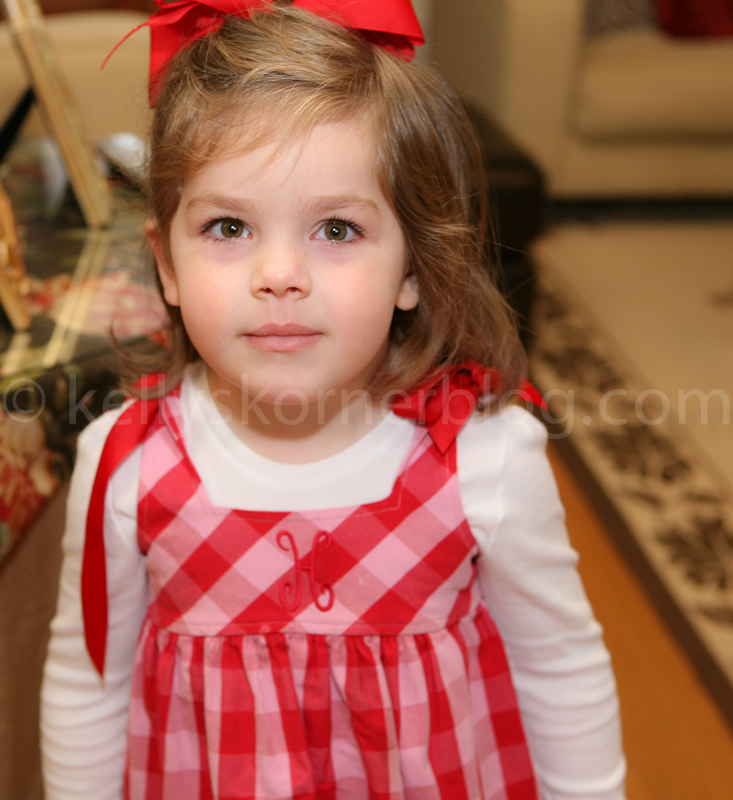 She's either going to be a model or a basketball player or both. And a rock star. 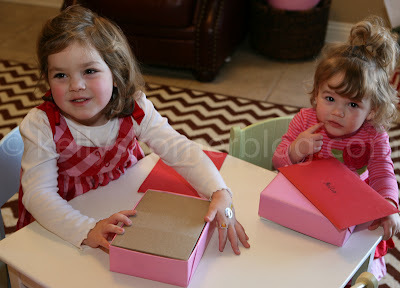 This afternoon the girls got a Valentines package from their Gigi so they opened their goodies and had so much fun! My mom also came to visit and brought lots more goodies. 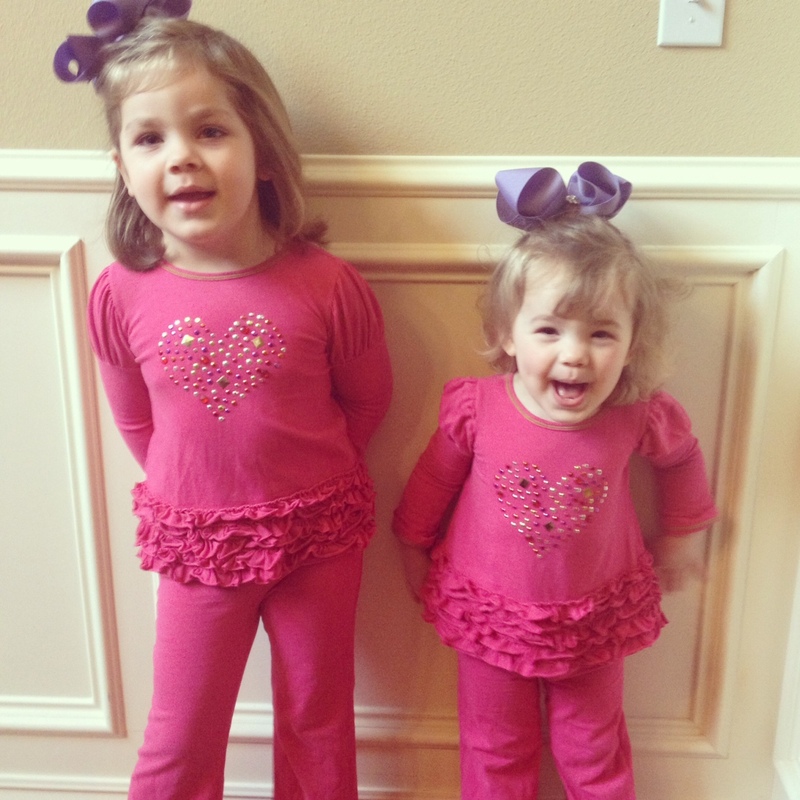 I'd say these girls are very loved! 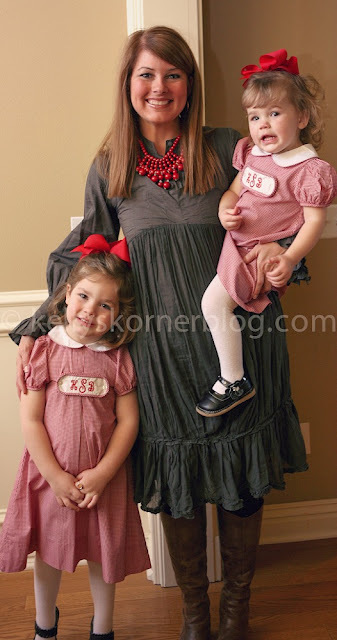 We had our Church Directory pictures made tonight. I knew it was going to be bad and I was so right. All of my friends have been sharing their directory picture nightmare stories. The main thing is they said there was a big hard push to get them to buy pictures. I was trying to be strong to not buy. Well - we had to wait almost an hour before we got our pictures made. The girls were sick and full of energy. By the time we got in there - they were DONE. You know your pictures are bad when the lady says to you "You're not going to want to buy any of these, are you?" ha! Oh well - at least we will have a directory of our church family. I may hate directory pictures but I'm OBSESSED with church directories. My girls and I before we left to take pictures. Scott met us there. I'll have to share the picture when we get it. ha! Hope you have a great Valentines. It looks like we celebrated a day early!